On April 19-21, the 11th annual SNEC International Photovoltaic Power Generation Conference & Exhibition was held in ShangHai, China. Having grown with every year, SNEC is now the biggest international PV tradeshow, with incredible influence. Helen He, Vice President of Fortune Energy, was invited to attend this event. This year, Fortune Energy had the honor of receiving the Golden Distributor trophy for the U.S. solar market in 2016 from APsystems. 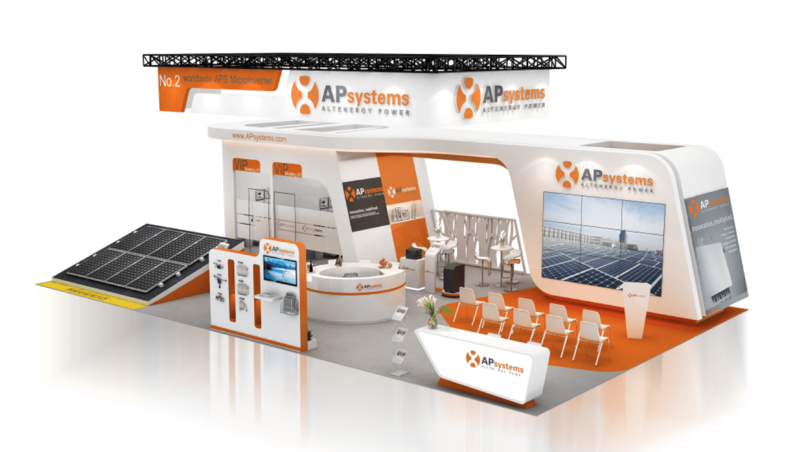 APsystems was founded in Silicon Valley in 2009, and is now a global leader in the development, manufacturing and marketing of microinverters based on their proprietary cutting-edge solar technology. APsystems ranked #2 in global market shares among microinverter suppliers, based on shipments in 2014. Fortune Energy is a front-running wholesale distributor of solar products. Since its inception in 2009, Fortune Energy has provided thousands of full turn-key systems comprised of top-tier solar equipment. The company has worked with different manufacturers around the world, and is planning to expand in the coming year. As for the future, Fortune Energy is dedicated to exceptional customer service, and will continue to provide unbeatable prices, without sacrificing quality for renewable energy projects across the U.S.
Stay tuned for more exciting announcements, as we look forward to this year being our best yet! For inquiries regarding our services and other questions, don't hesitate to contact us.